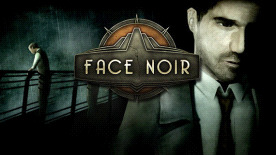 Developed by Mad Orange and inspired by the writing of Raymond Chandler, Face Noir is a point-and-click adventure set in New York City, 1934. A disillusioned private detective named Jack del Nero is charged with the murder of a man who, just before his death, left a little girl in Jack’s protection. As Jack tries to find out who the child is, he discovers more about human nature than he ever wanted to know along the way. Explore New York in the 1930s—drink in a Lower East Side pub, explore the back streets of Harlem, investigate the abandoned docks of Brooklyn, and more. An intriguing and classic noir mystery inspired by the work of Raymond Chandler!